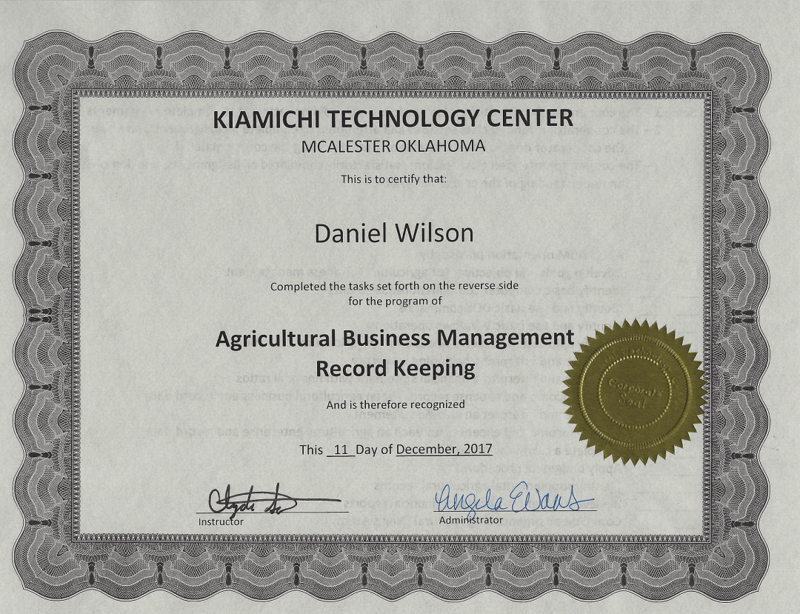 This will not be a long blog, I just forgot to mention the Agricultural Business Management Record Keeping course I recently completed. There was a fountain of information given during this class that if followed goes a long way in helping a farmer or rancher become more profitable and responsible . You never can stop learning from those that have come before you. I encourage all new entrepreneurs’ to learn as much as you can and to implement as much of that information as you can into your business. I’m dedicated to improving myself and my business by taking courses like this one and by attending conferences in business and agriculture. I want to make sure that my customers and partners know that I am serious in doing my best and providing the best products possible.